Last Night at the Round venue Toons on Tap put on another great session of costumed life drawing. The theme was the comic book Sandman, which was brought to life by the fantastic models Dave McKenna and Patricia Absinthe as Dream and Death. These two have such a great dynamic and were the Beetlejuice and Lydia from the Beetlejuice session last year. At the end of every Toons session is an art contest judged by the Models, and Last night they chose me! 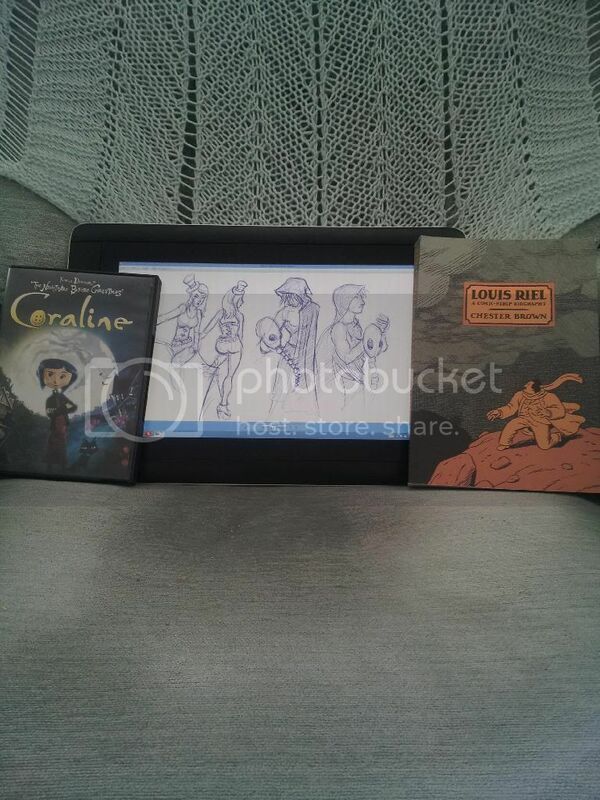 I won a copy of Coraline, and Louis Riel the graphic novel. Thank you guys so much I'm very much honored!